"As we honor Black History Month, we have just witnessed the unfortunate closing of Chicago's historic Seaway Bank. 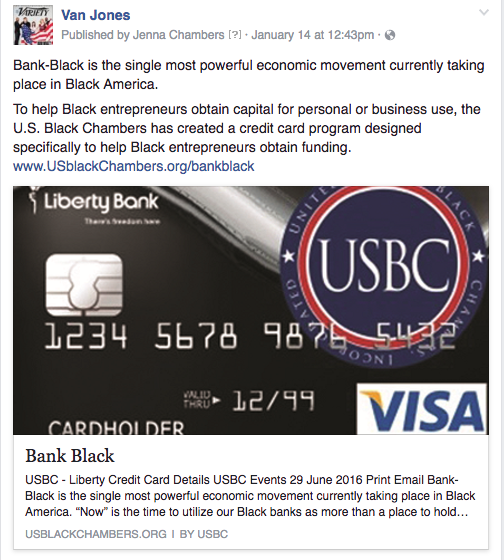 We've intentionally and strategically partnered with a Black-owned Bank: Liberty Bank, to do our part in helping to sustain a Black-owned financial institution. We urge others to patronize their nearest Black-owned bank. Our Bank-Black Credit Card initiative urges Black consumers to not only bank with a Black-owned bank, but to utilize Black banks as more than a place to hold our money, but as a resource for securing capital. 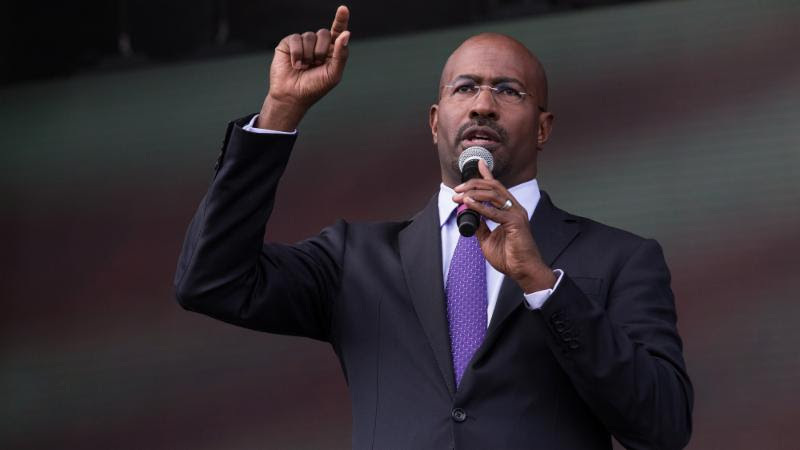 We are honored to see influencers like Van Jones utilize his platform to advocate for our Bank-Black initiative. The dismal rate in which money circulates in the Black community is alarming and calls for each and every Black American to reconsider where they're putting their money. The saying goes 'Money, Power and Respect.' 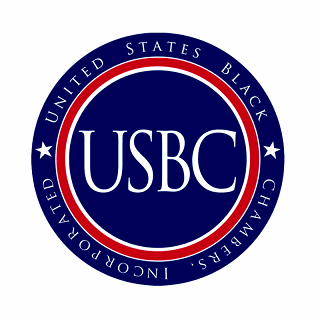 Until we have total control of how we circulate our money, our power and respect will continue to be marginalized," said USBC President Ron Busby.